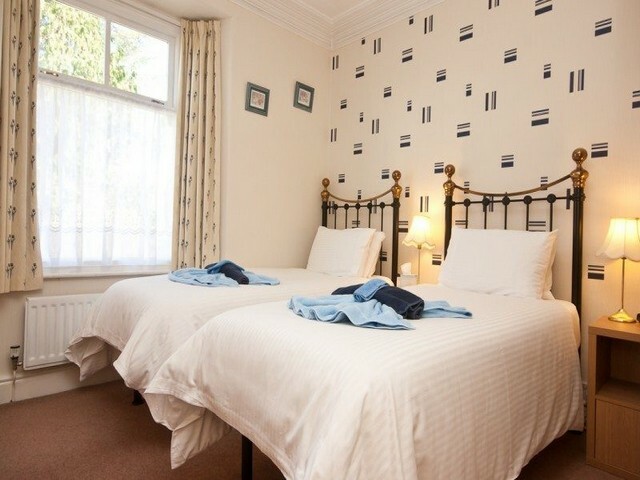 All our bedrooms have a welcoming atmosphere and attractive decor to help our guests relax after an enjoyable action packed or quiet day spent in The Lakes. They all have Ensuite shower rooms, complimentary toiletries, hair dryer, radio alarm clock, flat screen colour TVs, a bottle of Lakeland water, a hospitality tray with Fair-trade products and quality cotton towels. 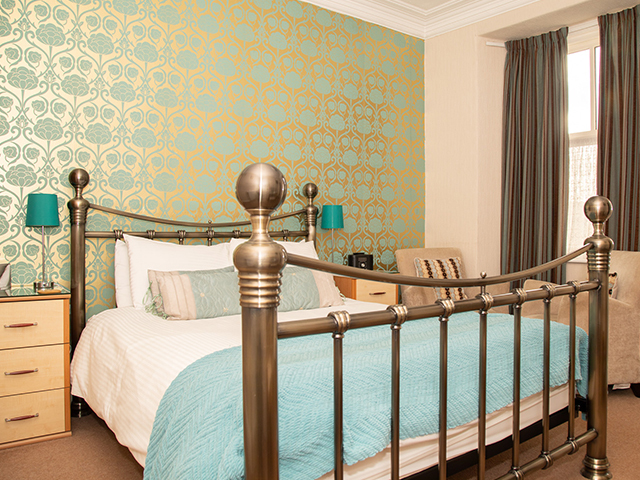 All our beds have crisp Egyptian cotton bedding. 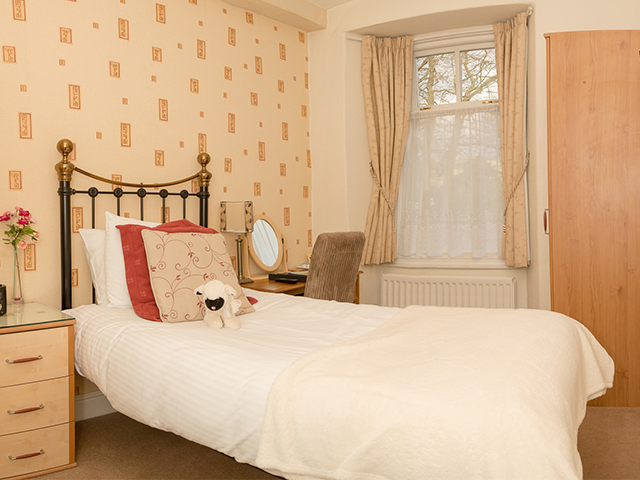 A comfortable single bedroom with a relaxing atmosphere on the 1st floor at the front at the House. 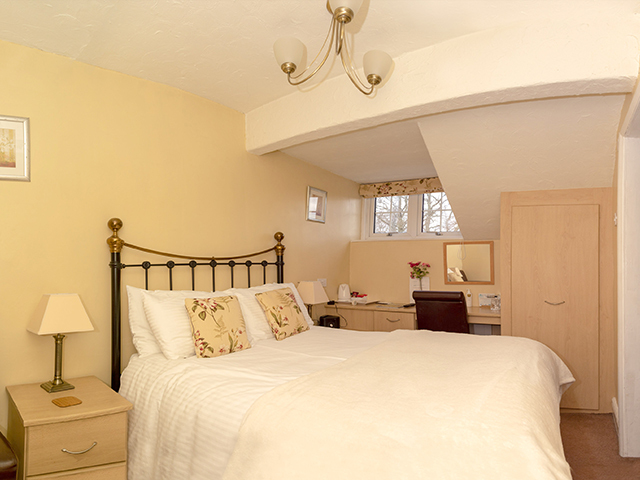 Our Twin room has two comfy beds and chairs with a double shower in the en-suite, the room is at the front of the house on the 1st floor. This room can be arranged as a Superior Double on request. 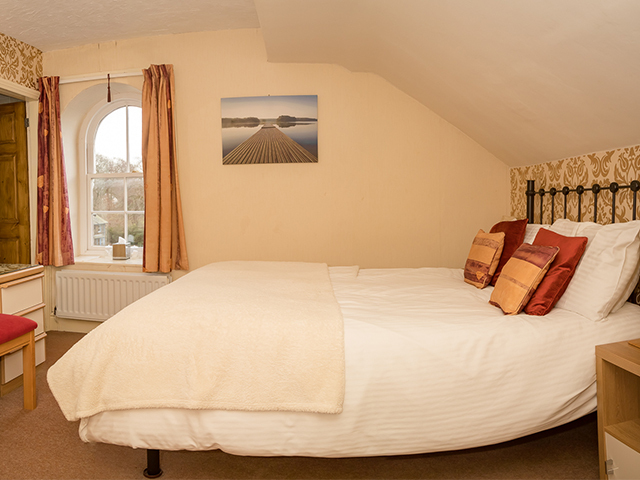 An Inviting comfy room with a double bed at the rear of the property on the 1st floor. 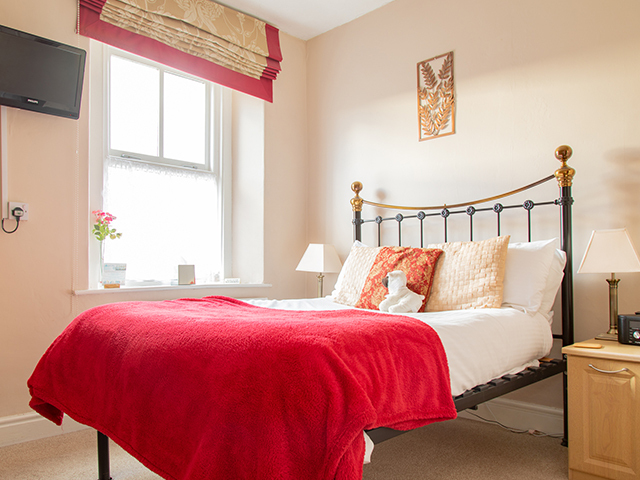 A small smart comfortable room with a generous en-suite on the 2nd floor with a double bed. A spacious welcoming room with a double bed and roomy en-suite on the 2nd floor with a feature arched window overlooking School Knott. We can also arrange luxury chocolates and flowers to be waiting for you in your room on your arrival to make your stay a really special occasion. Simply add to your room booking request and we will contact you.